Timer can be used with two equipments. 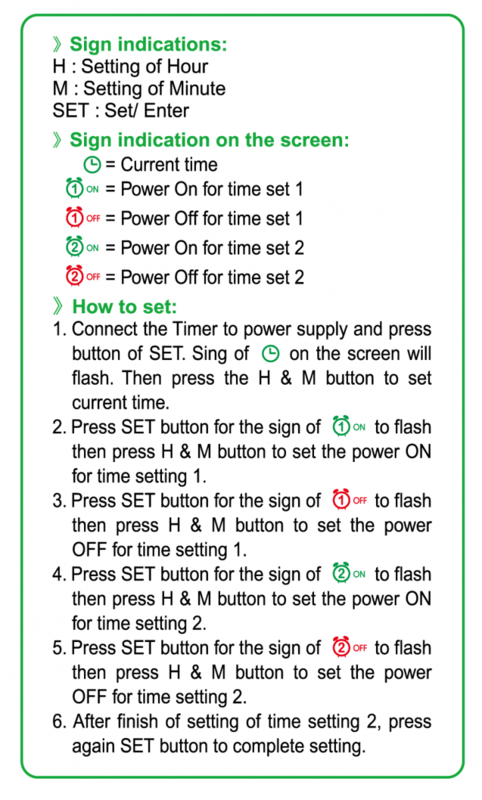 For fresh water, timer can be used to set CO2 controller and LED light. For marine water, timer can be used to control blue light and white light. LCD digital panel provides clear reading and easy to set. Individual timing setting for twin socket. Easy in timer set up. A great helping hand in set up an automatic functional aquarium tank. Digital LCD panel reading with ease.